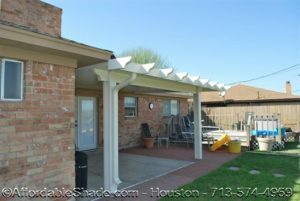 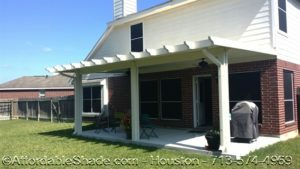 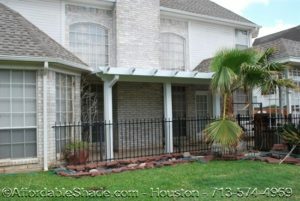 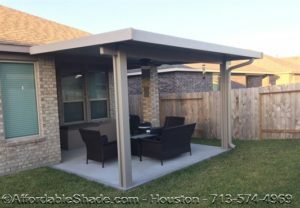 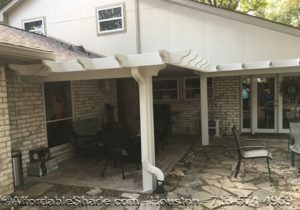 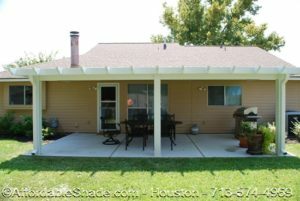 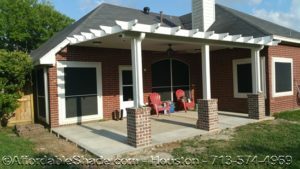 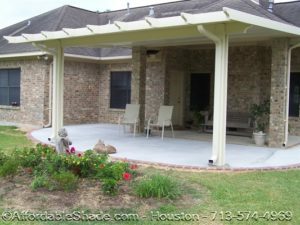 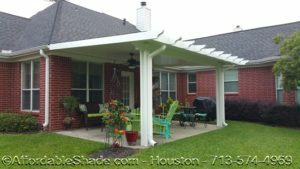 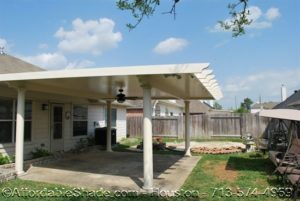 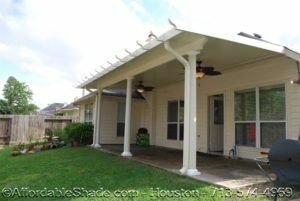 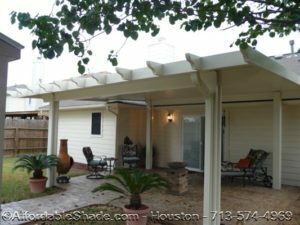 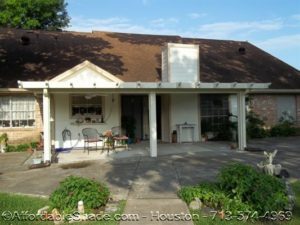 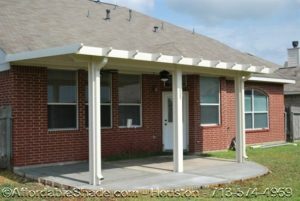 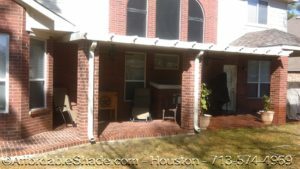 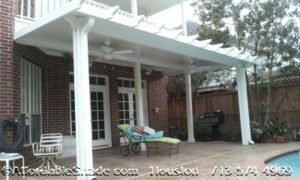 Get ideas for custom aluminum patio covers in Houston, TX. 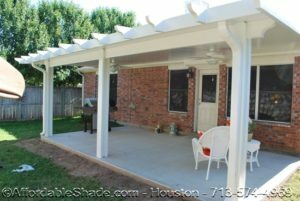 We install metal patio covers to protect your backyard from the sun. 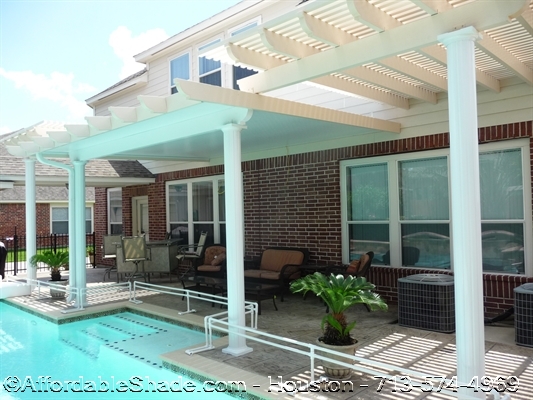 View pictures of our past aluminum patio and awning projects in this gallery. 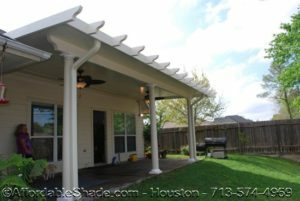 Find an elegant design that you want and give us a call for a quote. 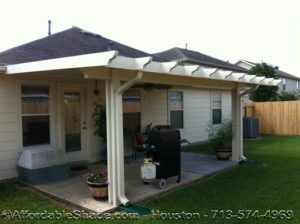 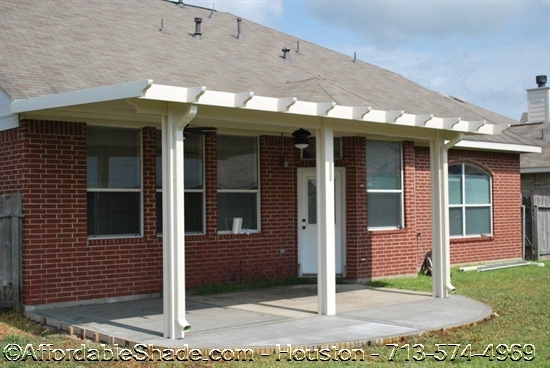 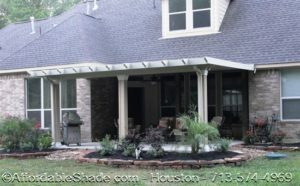 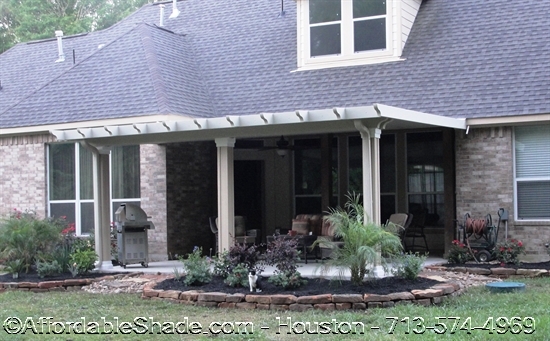 Affordable Shade: (713) 574-4969.